The Euroscicon is inviting for 15th International Conference and exhibition on Immunology 2018 on July 05 – 07, 2018 Vienna, Austria. 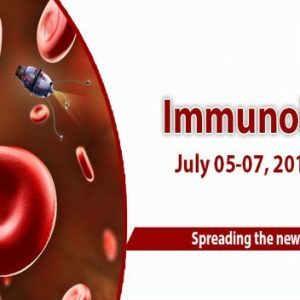 The theme of this year’s meeting is Spreading the new trends in Immunology which will provide an international platform for discussion of present and future challenges in immunological techniques, future of immunology. World-leading health practitioners, educators, and researchers will present cutting-edge and practical immunological techniques based upon widely accepted evidence and will introduce new and emerging research., which will include Registration prices of €399 for students, €599 for academics and €699 for business.